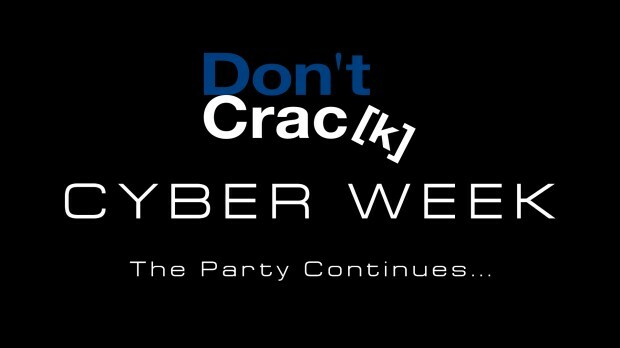 The party goes on with Cyber Week Hot Deals ! Please take a look at our Cyber Week selection in the news and in our newsletters (Subscribe Here), and take advantage of the incredible deals we’ve made available for you. If you missed our last newsletter with all the crazy promos available, click here… Check It Out ! Cyber Week promos are available from today until Friday November 30th at 11:59PM PST time (that’s the end of the day, US West-Coast time). Enjoy all the fantastic savings, and share with your friends ! This entry was posted in DontCrack, Event, Promotions. Bookmark the permalink.